Gunny Wolf from SemperToons has created this cartoon that features a set of four panels. The first states, "Three Times to Worry the Most". 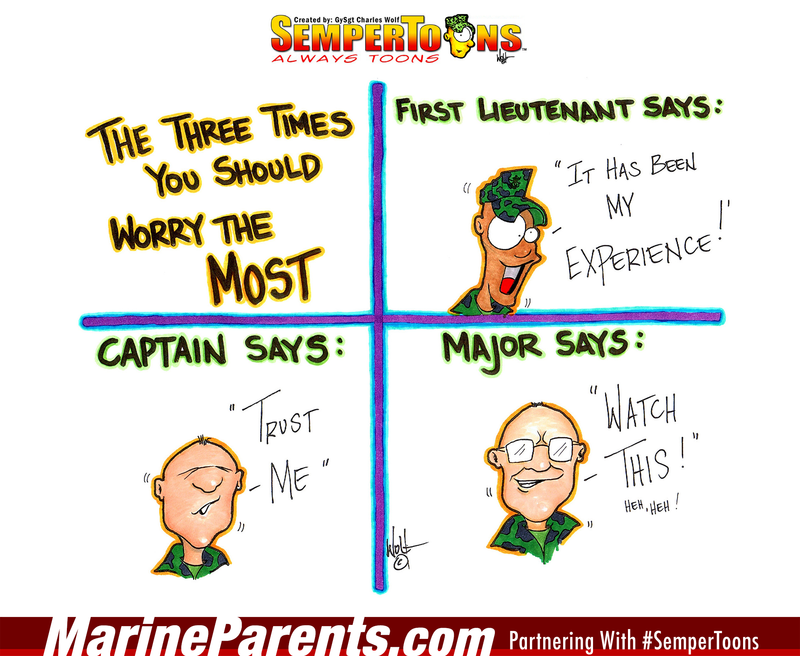 The second panel says, "1st Lieutenant: It has been my experience...". The third panel says, "Captain: Trust me!". Finally, the fourth panel says, "Major: Watch this!". Shop Three Times to Worry SemperToons at the EGA Shop.